One of the people who paid my booth a visit was an old friend. She was my first ever best friend; we’ve known each other since grade school. I’m going to spare myself the task of revealing my age by not going into more details (*cough*specific year*cough*). Let’s just say it was in the 90’s. Yeah.. We’ve been friends thaaaat long, and so, it was really a lovely surprise for me to see her there. I love how it turned out. I used stone paper for this piece as the lines are very fine which made the papercut delicate, then framed the final piece in double glass. Total time to make this: about 1.5 hours, including the sketching bit. 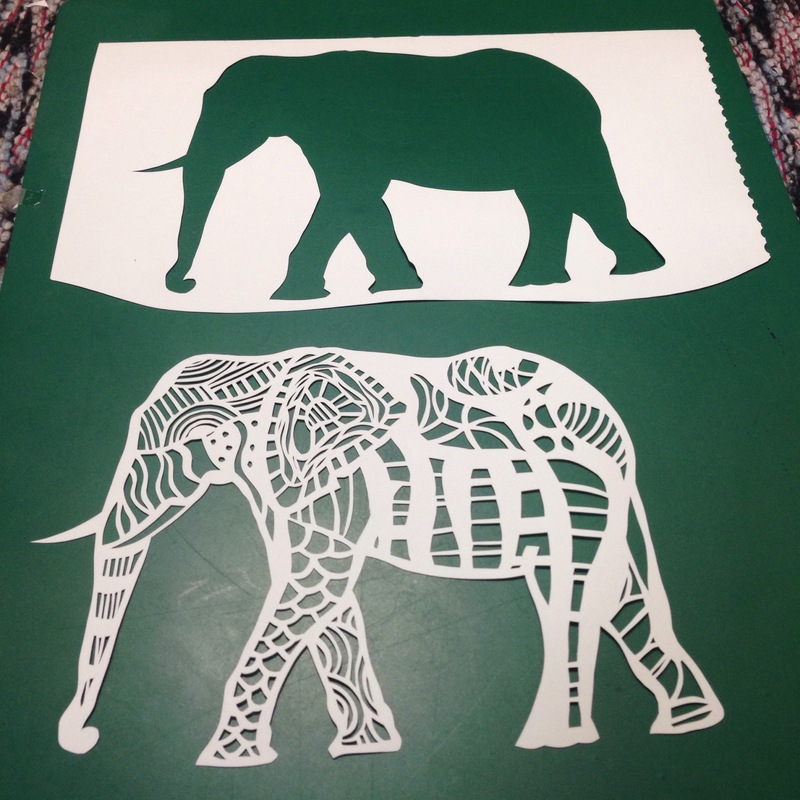 Fun fact on elephants: Did you know that when elephants meet up with family or friends, they entwine their trunks? That’s elephant-style hugging right there! 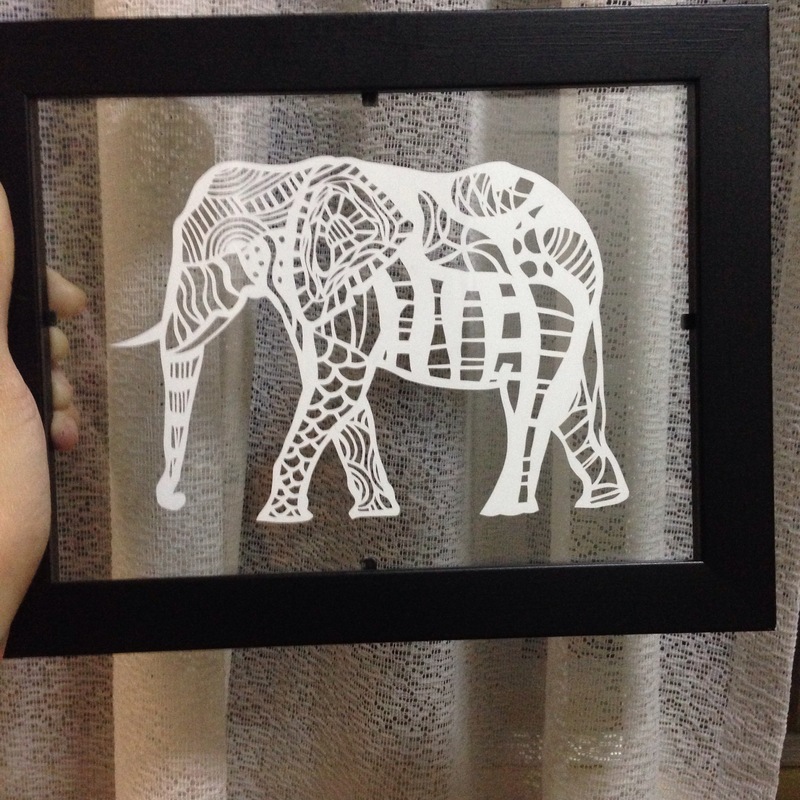 I’m ending this post with a song which played while I was just about to finish my elephant papercut. Spotify is magic.